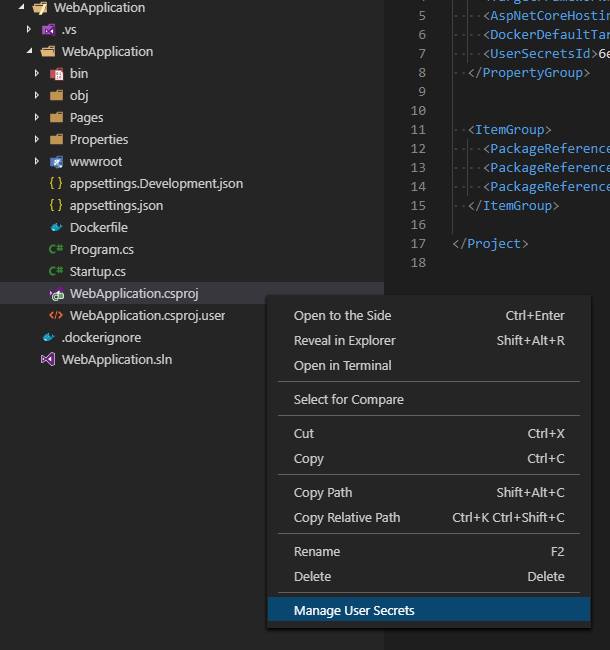 Visual Studio Code>Other>Manage User SecretsNew to Visual Studio Code? Get it now. View and manage User Secrets in ASP .NET and .NET Core Apps. Adds an option to the Context Menu when right-clicking .csproj files. This menu option opens up the secrets.json file for editing. Learn more about User Settings here. No settings are supported at this time.